Simply put, what people believe matters. If I believe that God revealed himself by coming to earth in the person of Jesus, then I consider myself obligated to examine seriously what Jesus had to say and to align myself with whatever religious institution carries that teaching forward most faithfully. This certainly does not mean that someone must be a Catholic, nor even a Christian, to be saved. But I believe that Catholics get “extra help” along the way to heaven — especially through the sacraments but also through the guidance of church teaching, since the truth of its fundamental doctrines is guaranteed by Christ. I, for one, am supremely grateful to be a Catholic and, to me, it makes a very big difference indeed. A. The technical answer to your question is this: Sins are forgiven in confession when a person is sorry for them and has a “firm purpose of amendment.” In other words, the person has the sincere intention of changing the behavior being confessed. When a person is divorced and has remarried outside the church, they may be sorry for the circumstances which led to this but rarely do they intend to change their status by leaving the second marriage. But you deserve much more than a technical answer. I have deep sympathy for the situation you describe and pray that the church will find a way to deal humanely with such complex circumstances; there is strong evidence that the bishops gathered at the October 2014 synod felt your pain. 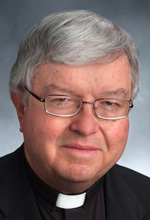 The concluding report on the Synod of Bishops on the family had two paragraphs that dealt with a proposal that would make it easier for divorced and civilly remarried Catholics to receive holy Communion. Though these two paragraphs did not get the required two-thirds vote for consensus and final approval, they did receive a simple majority and it seems likely that, with the benefit of further study, the matter will be raised once more at the larger synod in October 2015, which will make recommendations to the pope.